Tourism Malaysia has announced its big attractions for next year, along with some ambitious revenue targets for 2019 and 2020. At a media briefing in Sydney last night, Tourism Malaysia director general Datuk Musa Yusof (pictured above) said the country had been silent in the market, but has returned to the market in full-form. Malaysia aims to attract more than 28 million international tourists this year – generating more than $31 billion over the course of 2019. “As far as Australia is concerned … we are back,” Datuk Musa said. The country also hopes to attract more than 378,000 Australians to Malaysia this year. In order to facilitate arrivals, the country provides more than 1.5 million seats available on flights from Australia to Malaysia per year. Malaysia currently offers 121 total flights per week from Australia. This equates to 32,565 seats available per week. In 2020, Tourism Malaysia is aiming to attract more than 30 million arrivals, and generate more than $34 billion from international tourism. Since the tragedy of missing Malaysia Airlines flight MH370, the country has gone from strength to strength in attracting international visitors. This has been observed in a steady yet consistent growth in arrivals, with an increase of 2.4 per cent from 2017 to 2018. “After 2014 … the mishaps of Malaysia Airlines … we are coming back to say that we are still relevant for the market,” Datuk Musa said. Last year, Tourism Malaysia attracted more than 25 million tourism arrivals, injecting around $29 billion into the country’s economy. More than 350,000 Australians visited Malaysia in 2018. These figures are only set to rise with a host of new and reinvigorated attractions announced. 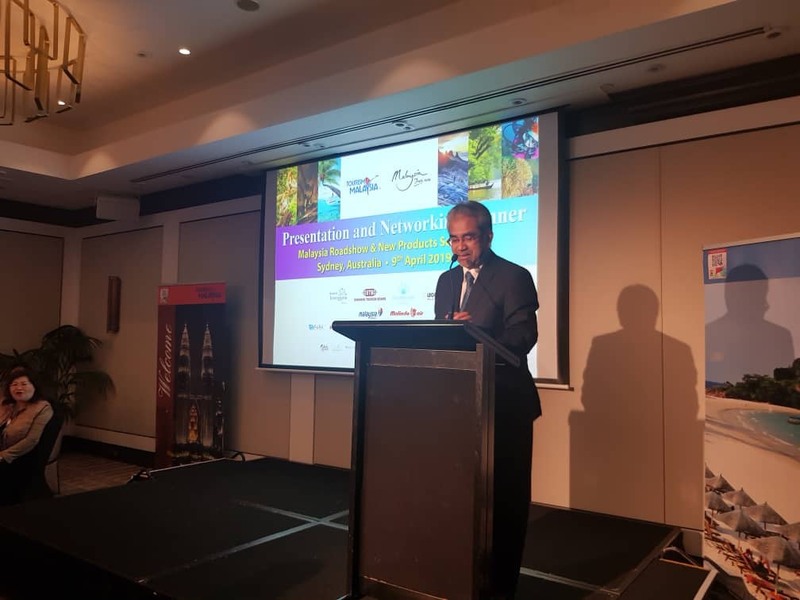 “We want to remind Australians that Malaysia is a beautiful and culturally diverse country with many fascinating tourist attractions,” Datuk Musa said. Some of the key products on offer include Terengganu, Sarawak, Malaysia Healthcare Travel Council, Desaru Coast and LEGOLAND Malaysia Resort. It was also revealed at the media briefing that Malindo Air will launch an Adelaide to Kuala Lumpur via Bali route on 16 April. In conjunction with the announcement, it was revealed that Malindo Air will offer special airfares to Kuala Lumpur from Adelaide, Brisbane and Melbourne starting from $558. Flights from Perth to Kuala Lumpur will start from as low as $228.